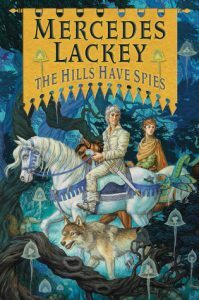 Mercedes Lackey has been my favorite author since I stumbled across Arrows of the Queen when I was fourteen years old, so I was pretty excited to receive my copy of The Hills Have Spies in the mail a few weeks ago. One of the first ways I judge how much I enjoyed a book is by how difficult it is for me to stop reading once I start, and with The Hills Have Spies I started reading when I got home from work one evening and nearly read it until I had to be to work the next day. So right off the bat, I can say that this is a book that I think is worth buying, any book that causes me to miss sleep is always worth the money in my opinion. 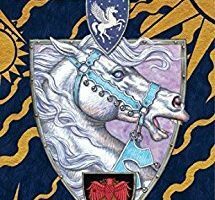 As much as I love Mercedes Lackey I was actually a bit concerned that I wouldn’t enjoy this book when I first requested a copy of it. We’ve had 9 books about Mags so far and after Closer to the Chest I felt that things were getting a bit stale in the series. 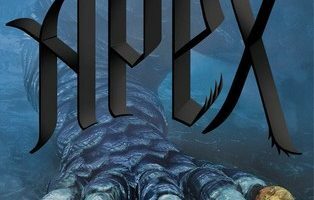 Happily, while Mags is one of the POV characters for this book, the book is really a coming-of-age story about his son Peregrine who has yet to be chosen by a Companion. The fact that Perry isn’t a Herald or a Trainee and doesn’t have a flashy gift or one that would normally be that useful makes him one of the most interesting characters in the series as far as I’m concerned, I loved pretty much everything about him. One of the things that I enjoyed most about this book and the main reason I was probably so sucked into the story was how different I thought The Hills Have Spies was when compared to the majority of the Valdemar books. 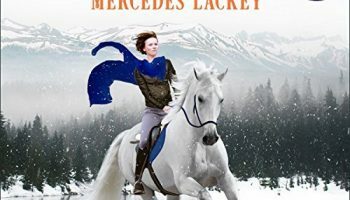 The Protagonist isn’t a Herald or a Trainee and the fact that it’s barely set in Valdemar at all really makes it remind me of the Owlknight books, which I still think are some of the best books Mercedes Lackey has written. It’s also pretty interesting being on the outskirts of Valdemar and seeing what it was like before the borders of the kingdom were set in stone and how Valdemar deals with the villages and settlements that surround it. I’m so glad that Perry was the focus of this story because I found Mags to be a boring character now that most of his story is told and in this book he spends most of his time being an overprotective dad. I also found the Kyree that Mags and perry meet during their adventure to be surprisingly annoying. I don’t remember any Kyree we meet in the other books trying to speak like a person, but in this one he does and it sounds so much like Scooby Doo that I cringed through the majority of the scenes in which he tried to speak instead of using his mindspeech. I’m happy I can say that I found this to be an overall good book and a great addition to the Heralds of Valdemar series. I will happily recommend this book to anyone looking for something to read, though I would at least recommend that they read the previous Mags books before starting this one to truly enjoy the story.